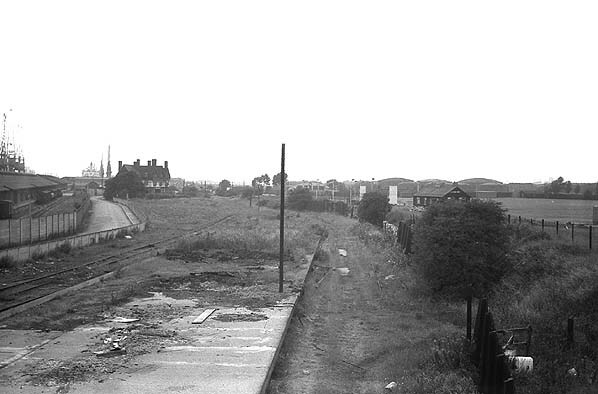 Gallions Station in September 1968 looking towards Canning. The picture is taken from the footbridge. The Gallions Hotel (which was still open at this date) can be seen in the background.